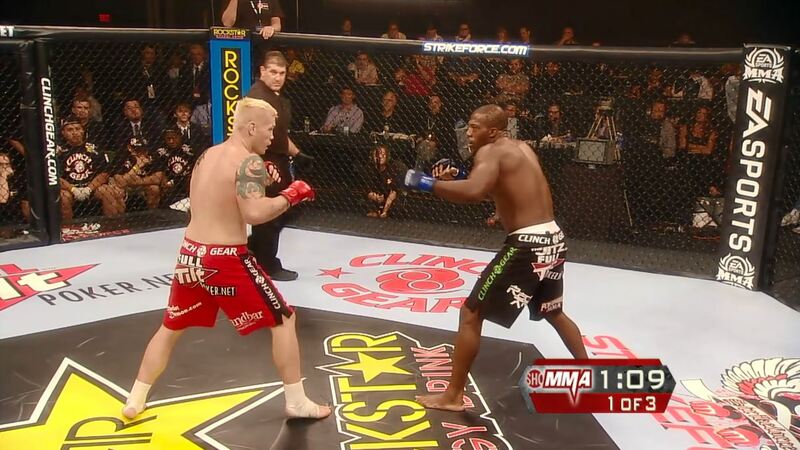 Strikeforce Challengers: Riggs vs Taylor from August 13, 2010. Joe Riggs vs Louis Taylor Strikeforce: Challengers Riggs vs Taylors Aug 13, 2010 (19:51) Both coming off losses in their last Strikeforce bouts, 40+ fight vet Joe "Diesel" Riggs had won 4 straight and was ready to get back to those winning ways against Louis "Handgunz" Taylor who scored back-to-back wins outside of the Strikeforce cage. 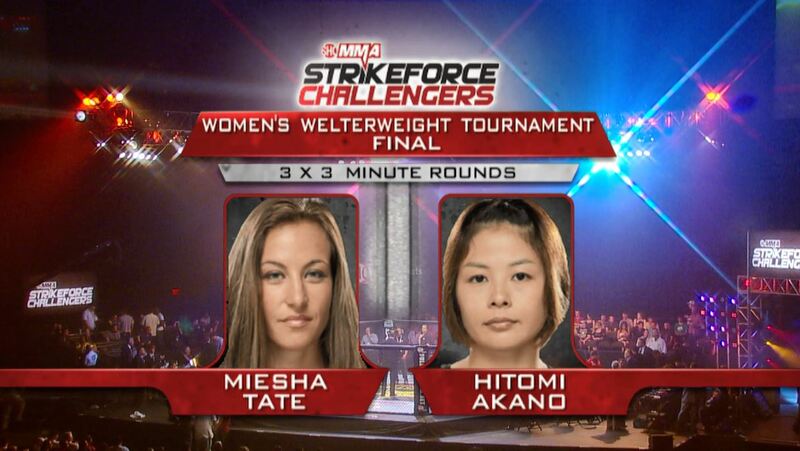 Miesha Tate vs Hitomi Akano Strikeforce: Challengers Riggs vs Taylors Aug 13, 2010 (19:05) In the Strikeforce women's 135 pound tournament final, the 16-7 "Girlfight Monster" Hitomi Akano, who was coming off an armbar win in the semis, stepped into the cage to face fellow submission grappler Miesha "Cupcake" Tate, who owned a 10-2 pro record. 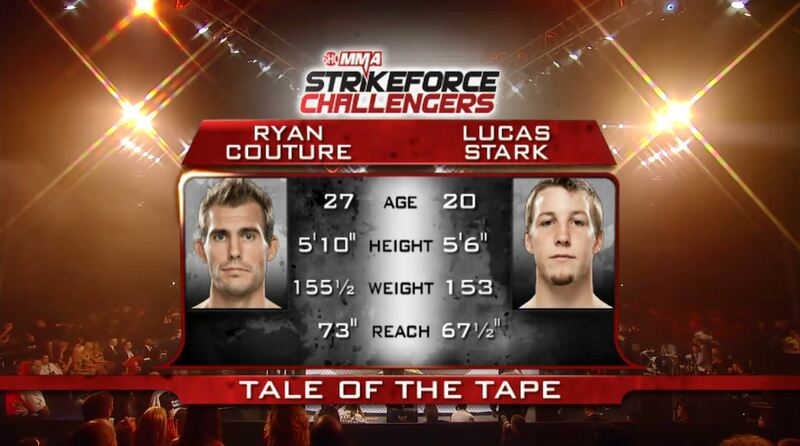 Ryan Couture vs Lucas Stark Strikeforce: Challengers Riggs vs Taylors Aug 13, 2010 (4:49) Ryan Couture was making his Strikeforce/pro debut, in the sport his father became a UFC Hall of Famer in, against fellow debuting lightweight Lucas Stark who was coming off his first career win in his 5th pro fight. Hitomi Akano vs Carina Damm Strikeforce: Challengers Riggs vs Taylors Aug 13, 2010 (9:55) In the semifinals of the Strikeforce women's 135 pound tourney, submission aces collided as Hitomi "Girlfight Monster" Akano was making her second Strikeforce appearance against Carina "Barbie" Damm who was on a 10 fight win streak. Miesha Tate vs Maiju Kujala Strikeforce: Challengers Riggs vs Taylors Aug 13, 2010 (10:34) In the semifinals of the Strikeforce women's welterweight tournament, grappling specialist Miesha "Cupcake" Tate, who was on a three fight win streak, entered the cage against Finland's Maiju Kujala, who was also enjoying a three fight win streak. 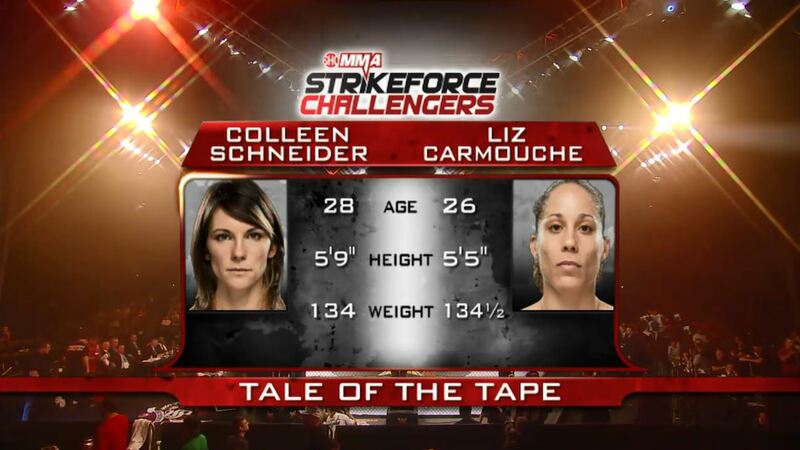 Liz Carmouche vs Colleen Schneider Strikeforce: Challengers Riggs vs Taylors Aug 13, 2010 (9:26) In a dueling debut, taekwondo blackbelt Colleen "Thoroughbred" Schneider entered the Strikeforce cage to clash with former US Marine Liz "Girl-Rilla" Carmouche who was undefeated in MMA with all wins by finish.